done by Gordon College students for their classroom. What is religious art in the secular era? How should Christian artists interact with ‘High Art’ and its institutions (and what about making money)? How have theologies of the image from the wider Christian tradition shaped the creative experience of Christian artists today? 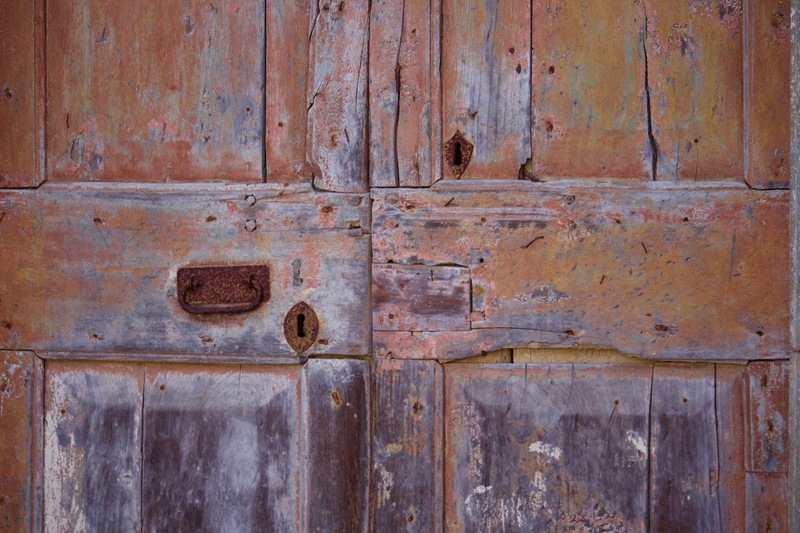 How can a life, led aesthetically or artistically, witness our faith? 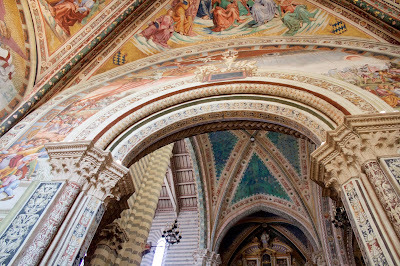 The Institute for Christian Studies’ ART in Orvieto program seeks to provide space to ponder these and other questions. When reflecting on her own art history training, Dr. Rebekah Smick considered how different it would have been with the inclusion of some historiography to frame the discussion, to help understand why the course of art critique and theory developed in such a manner, and how it framed modern discourse. This was the impetus for her creation of the ART in Orvieto program; to provide scholars and practicing artists the opportunity to learn about the history of the image within the Classical and Christian traditions and their legacy to art theory and criticism today. Some of the people who attend are philosophers and theologians by training, others school teachers, fine artists, and the intellectually or spiritually curious. 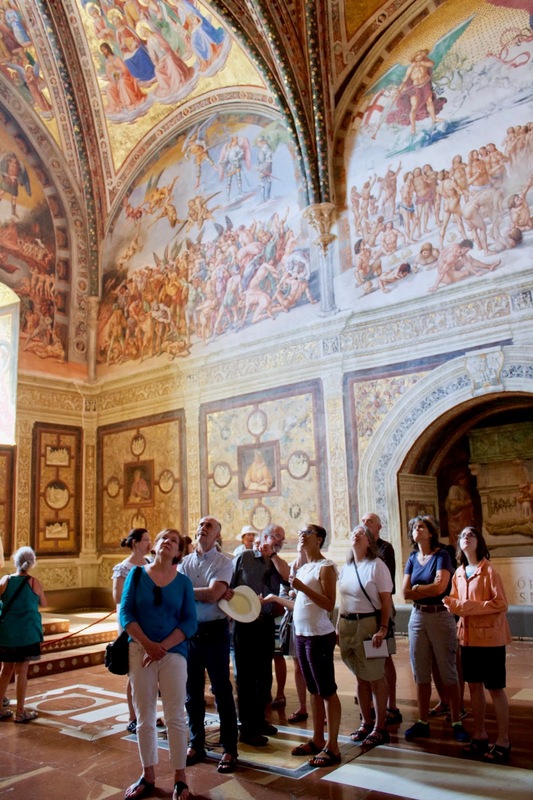 The program is multi-purposed, juxtaposing the academic seminar with studio time for those who are practicing artists, and sending everyone to see influential and overlooked works in situ in Rome, Florence, and Assisi. 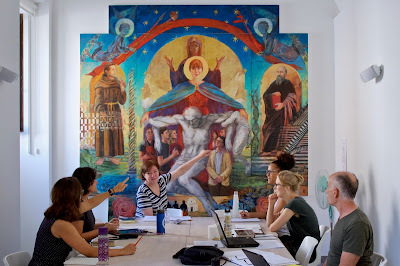 Students leave understanding the cultural and social contexts which changed and were changed by the philosophies and theologies of art throughout the last 2500 years. All of this takes place in a repurposed, Servite convent atop the tufa rock plateau that is the city of Orvieto. Gordon College, a Christian college in Boston, Massachusetts, have a satellite campus in which they run semester-long experiences for fine artists from their school during the main academic school years, and host programs like our Art, Religion, and Theology course in the summer months. now home to Gordon College. We are midway through the first week of our 2018 program. Most of the participants are beginning to overcome their jet-lag and all our artists are set-up and enthusiastically setting forth upon their projects in the studio. Maria, the fantastic cook who works for Gordon College here in Orvieto, provides steaming platters of al-dente pasta, seasonal vegetables, and roast meats at our lunch and dinner meals.